ideas for what to paint. 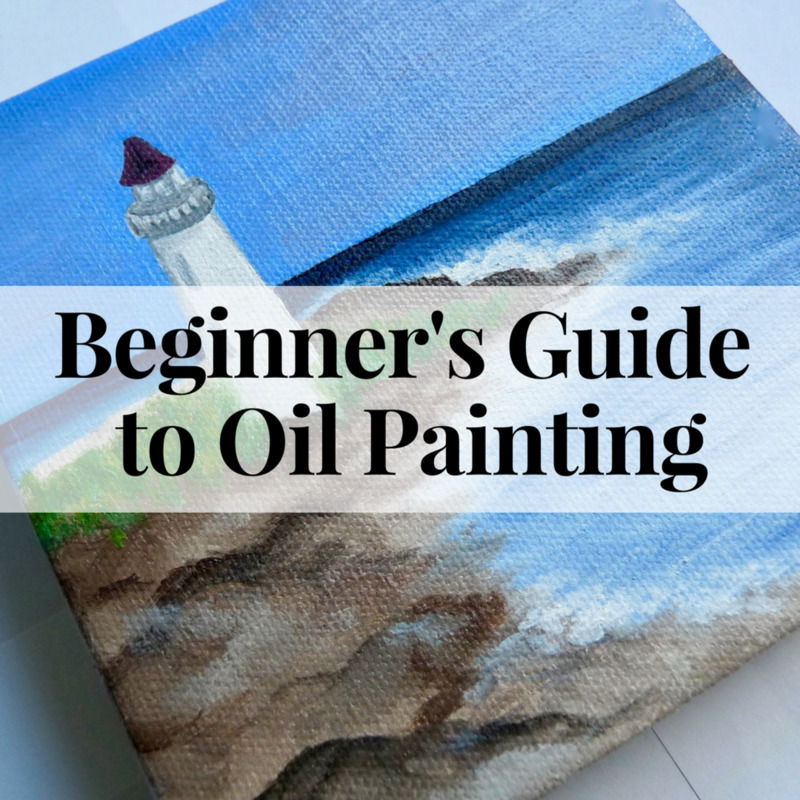 The first thing you are going to need to start painting with oils are some tubes of oil paint. 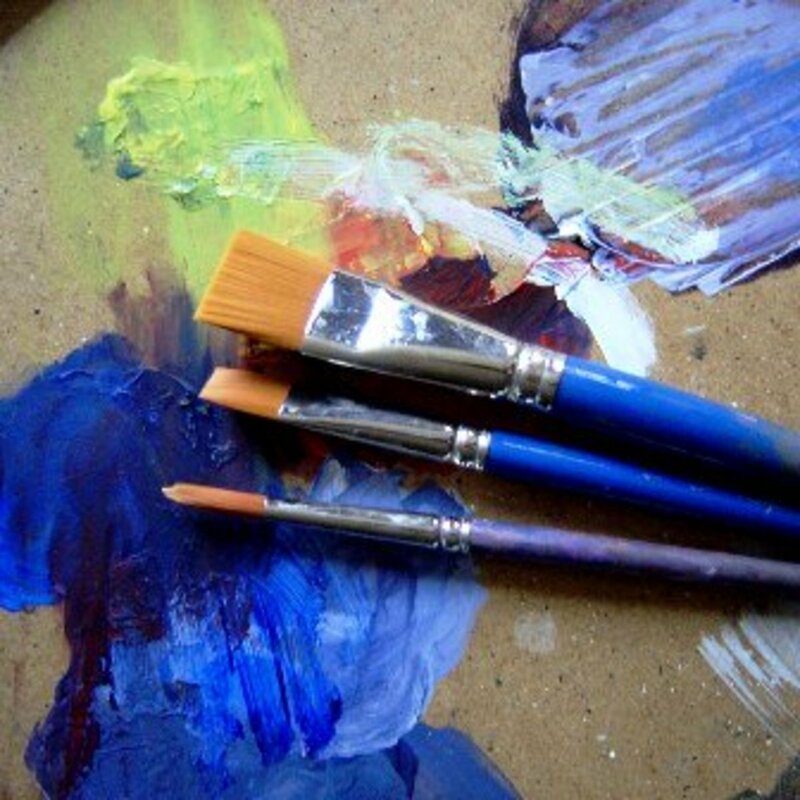 There are different qualities of oil paints: you can find student grade or artist quality. The student quality paint is cheaper, but it contains less pigments and more fillers, making it not only less efficient but also more difficult to handle. The rule of thumb when buying paint is: get the best quality you can, even if it means affording to buy a limited amount of colors. Ask 10 painters about what colors they must have on their palette, and you’ll get 10 different answers. The choice is very personal and related to your subject. As a beginner, you can get started by buying a limited palette, with only white and the primary colors: a blue, a red, and a yellow. From these colors, you can potentially mix all hues without having to buy a lot of paint. You get a few benefits out of it: you save some money on paint and you are forced to get a lot of practice on how to mix colors. You can splurge on the white and buy a big tube of it, you’ll need it. That sounds simple, but when you get to the store there are many blues, reds, and yellows; it can get quite overwhelming. If you paint landscapes or figures you may need different colors, but overall I’d recommend starting from primaries that are not too opaque. Look for paint colors that are more transparent, they will be a little easier to mix. Many brands have the degree of opacity vs, transparency indicated on the tube. I give preference to the more transparent hues. One good option for a limited palette to get started: Alizarin Crimson, Ultramarine Blue, and Cadmium Yellow Light. Always get a white, usually Titanium (opaque) or Titanium-Zinc (less opaque) White. Brushes come in many types, sizes, and price ranges. Synthetic brushes are usually cheaper, while natural ones are more expensive. Be aware that cheap brushes tend to lose their shape faster, while the more expensive ones are more durable (granted that you clean them right). The best sizes and shapes depend on your painting style; however, you can start with a paint set as small as three brushes: a big one for applying big areas of color, a medium one, and a small one for the final phase, the details. Long handle brushes are good for oil painting. Hold them far from the ferrule, and try to use your whole arm, plus the long brush at every stroke. It will make your style loser. I like flats or filberts, for their versatility. They can be used to obtain different kinds of brushstrokes. I have a few rounds and a couple of liners for the smaller details. Fan brushes are good to blend colors, but I don’t use them much. Keep your brushes in good shape by cleaning them thoroughly after each painting session, rinsing well, and laying them flat to dry. Read Guide to Choosing the Best Paint Brushes for more information. 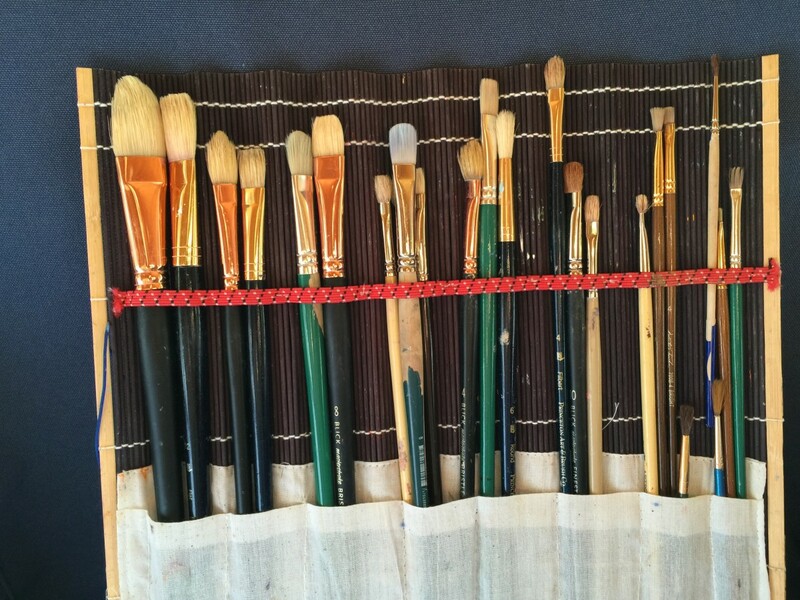 Keep the oil painting brushes separate from watermedia brushes. The most popular supports for oil paintings are canvases and boards. Some artists paint on paper too, cheaper and less bulky to store than stretched canvas. When using paper, make sure you seal the surface, for example using shellac, or the paper will rot with time. Acrylic gesso is a great primer for oil painting, and you can prime your own canvases and boards if you want. It is OK to paint with oil over acrylic, but you cannot paint with acrylic over oil. 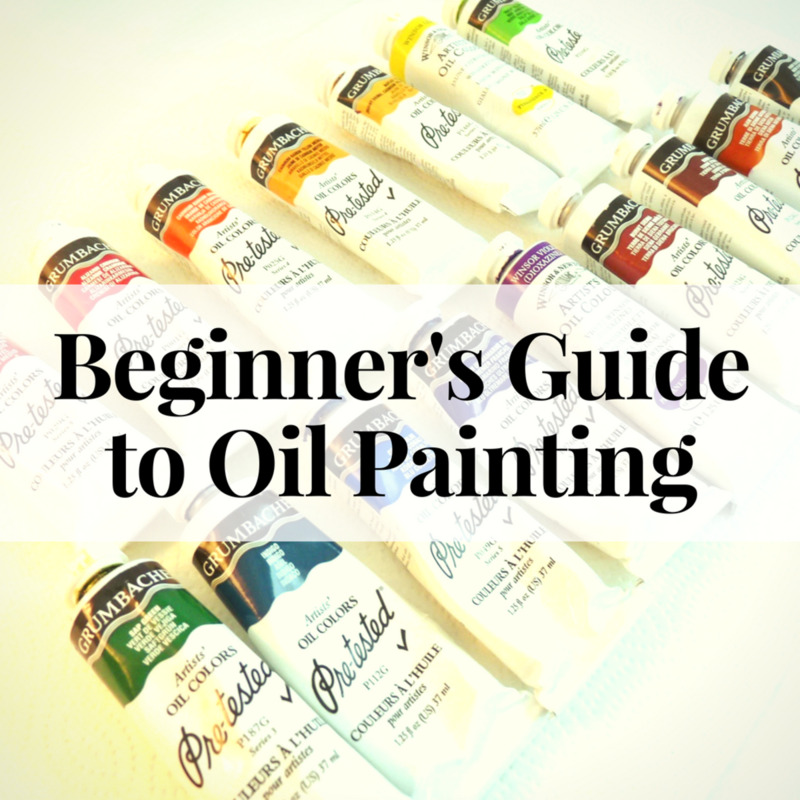 You’ll need a palette on which you mix your oil paint. This can be made of wood, glass, plastic, or paper. Non-porous surfaces are easier to clean afterward. Many artists use a glass palette or a butcher plate with raised edges. They are very sleek and make cleanup easy. I like to use a Mijello airtight palette, and sometimes I use a convenient disposable paper palette. The airtight palette keeps the paint wet for a few days and it makes easy to transport the paint even after that it has been squeezed out. Use a palette knife to mix big amounts of paint. Mixing a lot of paint using a brush, fills the base of the bristles with paint and makes it very hard to clean. Paint residue in that area causes the brush to spread out and lose its shape. 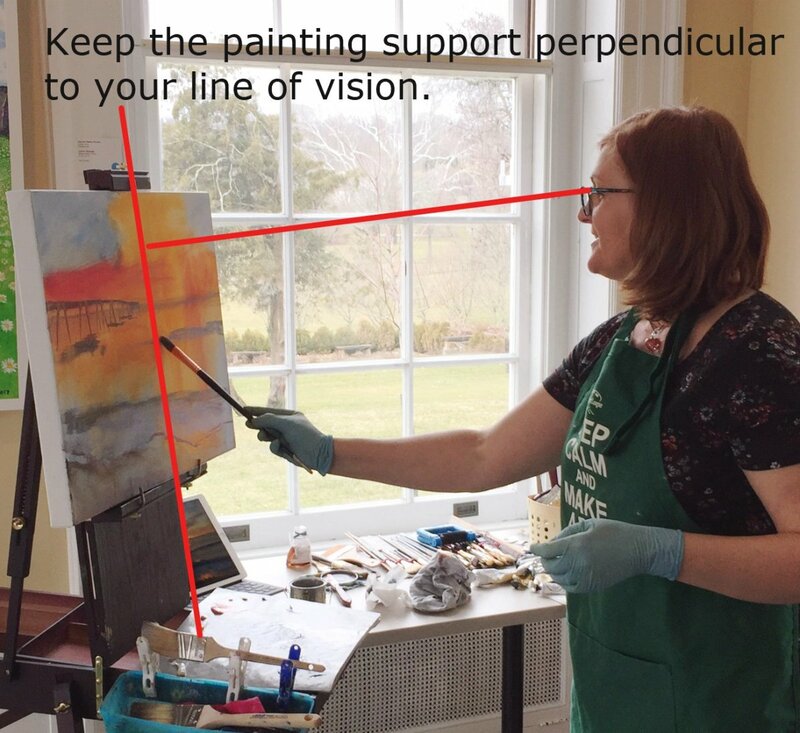 You could paint horizontally, with the support laying on a table, but I like to paint with the canvas propped up on an easel and parallel to my eyes. There are some very inexpensive easels, some are very light and simple, others are sturdier and may have a space to store paints and brushes. If you like to sit you can get a tabletop easel. I usually paint while standing, so I own a few studio easels. If you have painted with acrylics or watercolors before, you are used to thin paint with water. 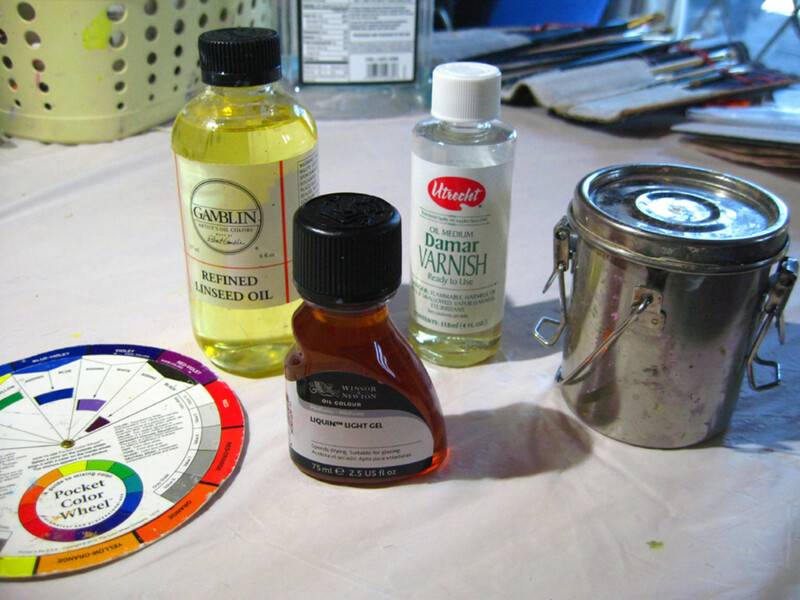 For classic oil painting you thin your paint with turpentine – get the odorless kind. I use Gamsol or Turpenoid. The thinner may also be used to clean the brushes. There are also water soluble oil paints. In that case, your thinner is water. 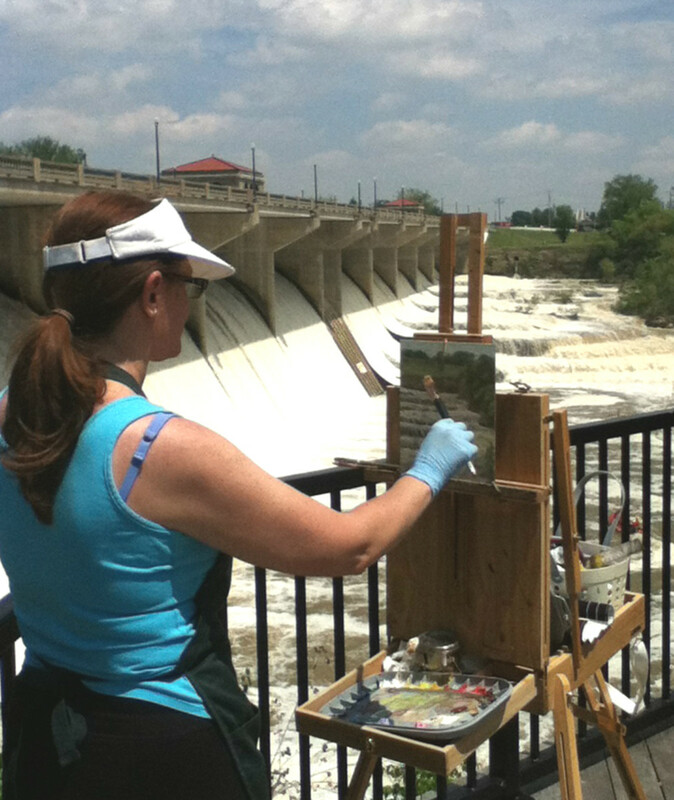 Always keep a paper towel or a fabric rag handy to quick-clean your brushes or to wipe off areas from the painting. Cut-up old t-shirts work well as rags, so do all those mismatched old socks. There are several good oil paint brands on the market. I have tubes from different brands because even if they have the same color on the label, the actual hue of the paint can be quite different. I don’t feel like recommending any brand in specific, look for artist quality and choose the pigment that you need/want from each brand. Painting Fat Over Lean, What Does it Mean? In oil painting you always have to follow the “Fat over lean” rule; it’s important, otherwise, paint tends to crack when it dries. Basically what it means is that you start painting with thin paint, thinned with turpentine or odorless Turpenoid, and the following layers of paint are less and less thinned. On the last layers, you can even add fat, like linseed oil. Linseed oil is the most traditional medium for oil paint, in fact, it’s already mixed into the paint. If you add more linseed oil into the paint it increases flow, transparency, and gloss. One drawback is that it slows down the drying time considerably; you’ll be waiting days before the paint is completely dry. The first thing to do to clean brushes from oil paint is wiping away all the excess paint from the bristles using a rag or paper towel. Squeeze the bristles well to get as much paint out as you can, dipping the brush lightly in the thinner to facilitate the cleaning. I heard some people clean using the thinner (I would not recommend it), others use safflower oil. I like to use a soapy detergent to get all the paint out. After you squeezed all the excess paint out using a paper towel, get your bristles soapy, make foam, rinse well, make foam, rinse well, until the water runs clear. Squeeze all the water out, reshaping the bristles, and lay the brushes flat to dry. Any kind of mild soap will do, or the more specific The Masters Brush Cleaner. I personally use a common household degreaser that comes in liquid form. How Ready For Oil Painting Are You? How many of the 10 items listed do you already have? I have 0-3 items needed for oil painting. I have 4-6 of the things listed. I have 7-10 items on the list. All 10 and lots more! Cultivate an ever continuous power of observation. Wherever you are, be always ready to make slight notes of postures, groups, and incidents. Store up in the mind... a continuous stream of observations from which to make selections later. Above all things get abroad, see the sunlight and everything that is to be seen. Oil painting does not come off easily from clothes. Always wear old clothes. 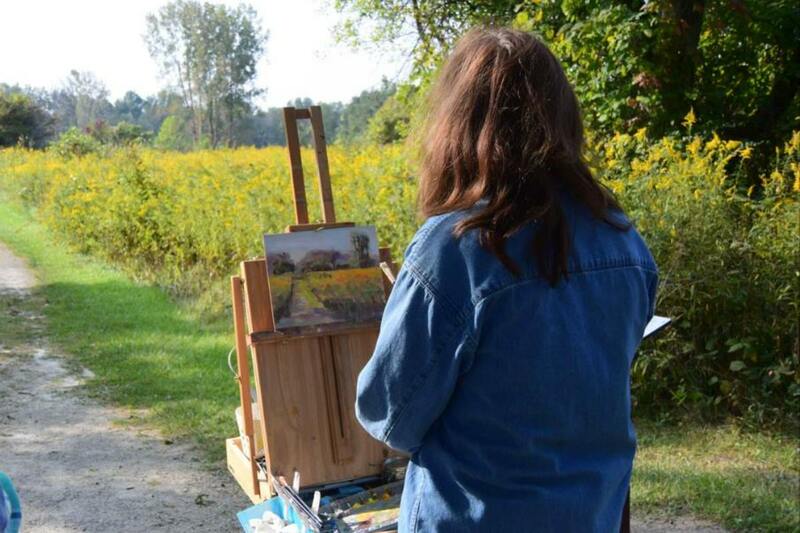 If you paint outdoors, en plein air, you are even more likely to get paint on your clothes, dress accordingly. Also, most paint colors contain highly toxic minerals and chemicals. I recommend wearing rubber gloves. Gloves should be flexible and fit tightly, like exam gloves; they need to protect your skin but don’t limit your movement. To start with oil painting, you don’t need a fancy studio, you can simply set up in a corner of your home, but make sure you have everything you need handy before you start. 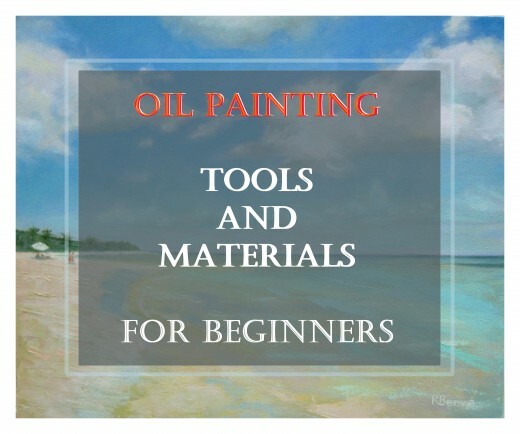 Once you have all you need, you are ready to start painting with oils. Find a subject that you want to paint, set all fears aside, and jump in with one only goal: have fun and enjoy the process! Chances are your first paintings will be bad, but don’t fall into the trap of hating them and giving up. That’s a phase that every artist goes through. There is always a disconnection between what your mind thinks the painting should look like and the true result. Face the process of painting as a fun learning opportunity, anything that comes out of it will help you advance as an artist, whether you like how it looks or not. It’s all worth it! I painted with watermedia (acrylic and watercolors) for years but I always wanted to try oils. 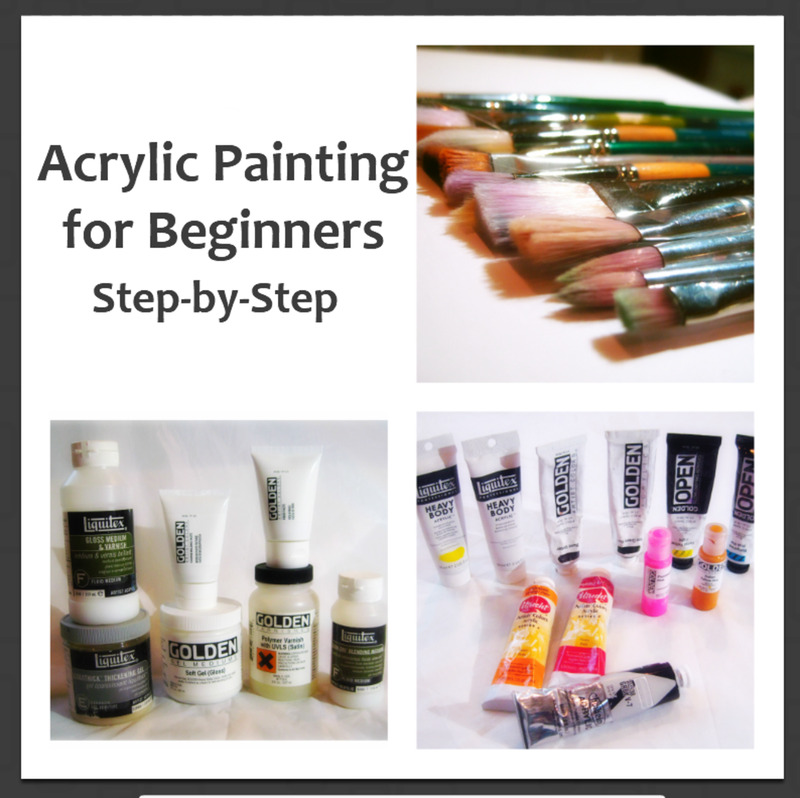 What was holding me back was the fact that I had no idea what supplies were needed and I was not sure how to handle the differences between oil paint and watercolors or acrylics. I finally started painting with oils in 2013, and figured out, mostly on my own through trial and error, what to do. I wish someone had told me these things a few years back, I would have started painting with oils earlier. So, I thought I would share, maybe I can help someone else taking the dive. Painting Supplies Are Great Presents for any Artist! 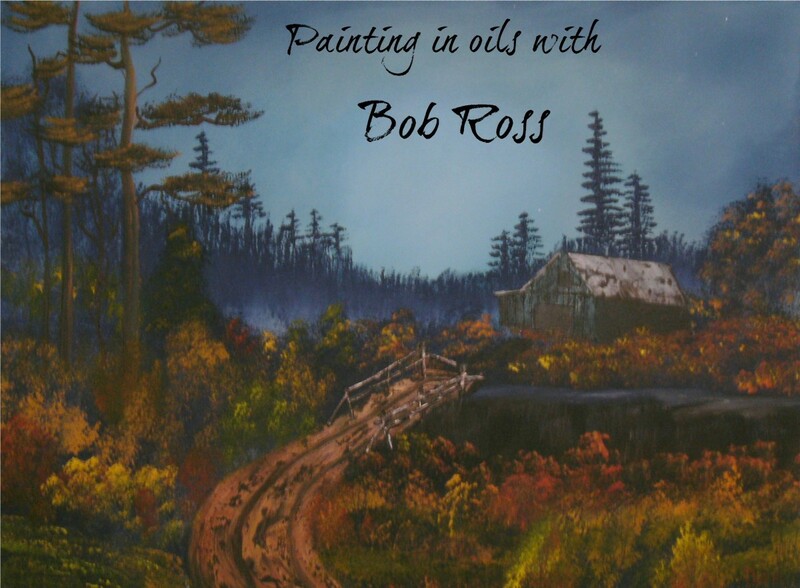 Looking for gift ideas for a friend that dabbles in oil painting? Keep reading and you'll find some neat ideas about painting supplies that could be wonderful and appreciated presents. What can I use to clean oil paint off of my brush? At first, I tried using water; then I realized that doesn't work. Water alone does not help clean off oil paint, and you would not want to wet your brushes in between colors either. Water works well with acrylics, but water and oil don't like each other. There are two main ways to clean a brush before loading it with another color. Before I get into that, let me mention that one way to minimize brush cleaning is to keep different brushes for different colors. For example, you may keep one brush for all very light colors, one for the dark and grayish colors, one for the reds, and one for the greens. 1. When you switch to a different color, the first thing to do is to squeeze out all the paint from the brush using a paper towel or a rag. Squeeze the bristles in the rag, applying pressure with your fingers. You may also rub the brush on it to get most of the paint out. There will be a little of the old color still in the brush, but if you use it for a similar color, the problem is minimal. Just be aware how you apply the paint. If you rub the brush on the canvas, the old color will come out as well. 2. The second way to clean your brushes is to use thinner. I use odorless turpentine to thin my paint and, on occasion, when I need a good brush cleaning during a painting session, I dip my brush in the thinner and then clean it well using a rag. Before doing this, you want to remove all the paint you can with a dry rag or paper towel. Use the mineral spirit as the last step of thorough cleaning. Some people try to avoid the thinner as it's full of pollutants, and instead do this with safflower oil. That works too; the procedure is the same as with the thinner. To clean my brushes at the end of a painting session I use water and soap. I get the bristles all soapy and then rub them on the palm of my (gloved) hand, rinse a little, and repeat until I see no more paint coming out from the brush. Then I rinse well, squeeze the excess water out, and I lay that brushes flat to dry until the next day. Can I use mineral spirit instead of odorless turpentine to thin my paints? Mineral spirits, or white spirits, are a petroleum distillate and can be used as an alternative to turpentine for thinning paint and cleaning paint brushes. To be honest, any thinner with a strong or mild odor bothers me, so I have only used the odorless kind. However, the fact that it is odorless does not mean that it is much healthier to use than mineral spirits or turpentine. In fact, because of the quick evaporation combined with the lack of odor, the artist is not aware of the huge amounts of vapors that he/she is breathing in. Prolonged exposure to even the weaker varieties can cause bouts of sneezing, headaches and general discomfort to the eyes, nose, and throat. Which kinds of photos/images should be chosen for my first painting? When starting to paint for the first time, I think the best way to go is to pick a subject that you like. However, keep in mind that since you are new to painting; most likely, your final result will not be to your satisfaction. 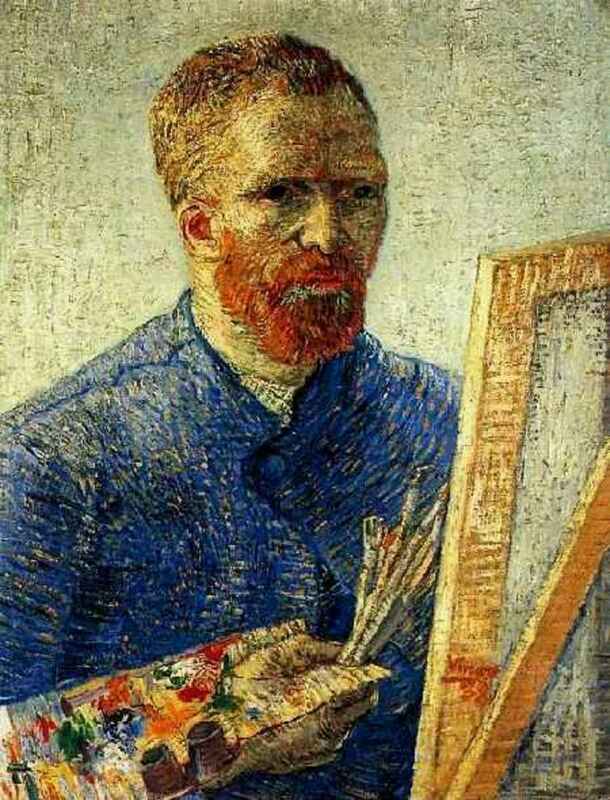 There is a disconnection between what visually creative people like or envision in their head, and what comes out as the final product. There is nothing to be afraid of; it’s a natural thing that is bound to happen, and the only cure is to paint, paint, and paint until the hand figures out how to create what the mind wants. That being said, as a beginner, I would recommend that you choose more straightforward images, without a ton of details, and with big shapes and simple volumes. Focus of a pleasant distribution of darks and lights, those can make any painting look awesome. To be safe, use your own photos or images with a creative commons license. Don’t just Google an image or take one from Pinterest, those are most likely copyrighted. Go to sites like Pixabay, Morgue File, Wikimedia Commons, etc. You may also use other people’s photos, with permission. I hope this answers your question. Before I start painting on canvas, what should I apply on the canvas? You can buy canvas that has already been primed with gesso, or you can apply acrylic gesso to any canvas or board that you want to paint on. In this case, follow the directions on the gesso container. For best results, apply two or three layers; diluting the first coat with water, and lightly sanding between coats. Thanks a lot Wendy, I'm so glad that my article helped you feeling more comfortable with starting painting with oils. That's exactly why I love to write informative pieces online. Thanks for the comment. You are very welcome Rohan, my pleasure. Thanks for your all tips..its really very helpfull to me.. I just bought my 1st, oil painting kit and needed help on how to start. This helped my so much. Thank you!!!! thank you for this information i'm just starting oil painting. Hi Dolores, keep going with the painting girl, you have the right last name! :) You probably heard that before... lol Thanks a lot for your nice comments. I love the idea that my articles, showing also my paintings, give others hope and inspiration to paint more. Thanks a lot for sharing your thoughts! and BTW, sometimes I squeeze some raw sienna out, but I don't think I own a burnt sienna tube. I'll look into that. Thanks! 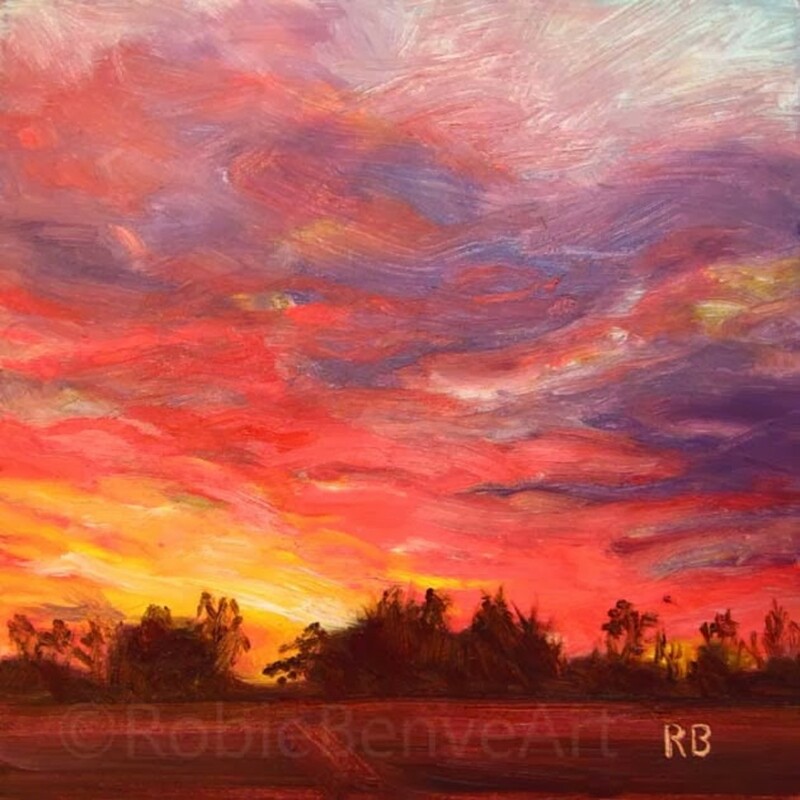 Hi Robie - I have just started trying to paint with oils, such a difference from acrylic! I have all the supplies you listed, but I also have raw sienna and burnt sienna, both come in real handy. I love your painting. Seeing those master works is a bit intimidating, but seeing a painting by you somehow gives one hope! Thank you so much! Oils are on my list ,much sooner now!!! Hi Bangladesh page, Thanks so much for your comment, glad you found the oil painting info you were looking for in my hub. Happy painting! I was looking for such type of tips for oil paintings. Thanks for sharing. 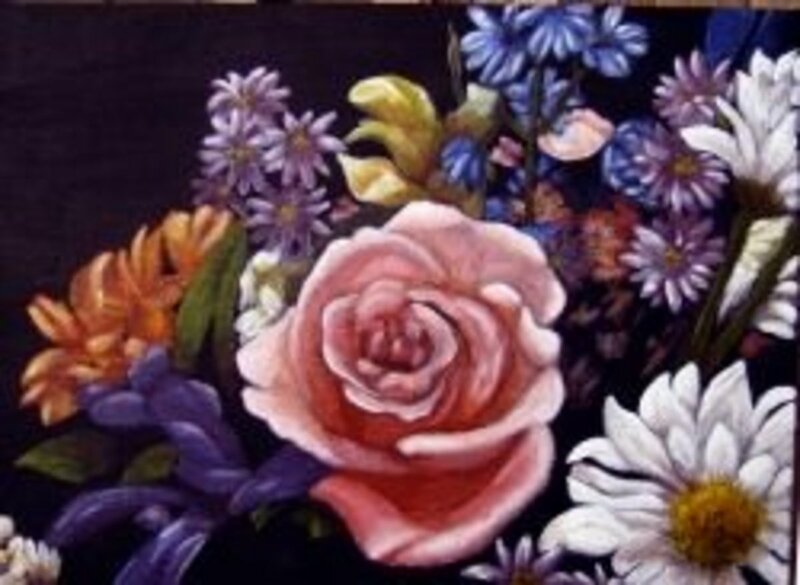 Hi Sheena, yes you can use paper for oil painting. As a matter of fact I know some excellent artists that use mainly paper as support for their paintings. It is important to seal the paper before you start painting, or it will deteriorate with time. I use Shellac to seal the paper, I have a spray bottle that I got from an art supply store, but you may be able to find it also at a hardware/paint store. 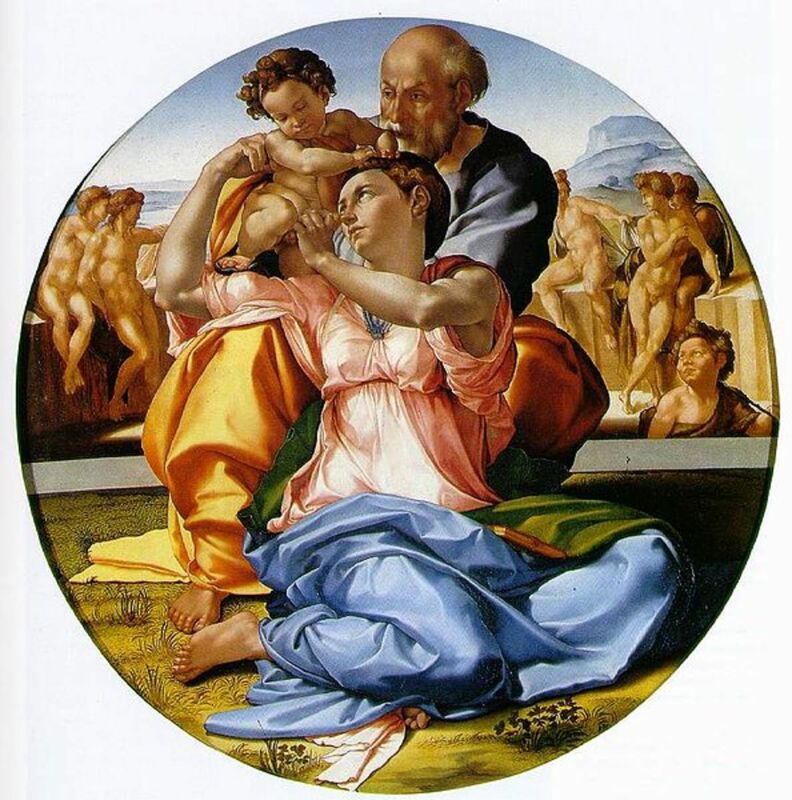 Can i use paper for oil painting? Hello Jonas, I was really intimidated by oil painting before I found the courage to try, and now it's my favorite medium! Sometimes all it takes is the courage to do the first step and the next ones come easier. Happy painting! Thanks for this very useful hub. Oil painting is a bit scary, like any other art is (for me at least). Thanks for putting together this fantastic resource! You've covered everything that beginning painters need to know. Thanks a lot midget38, I'm happy you found my tips helpful - and you think I'm talented! You're talented!!! And these are excellent tips for every artist. Sharing. Rebeccamealey, Time is a very precious resource, I know exactly what you mean! As a suggestion, try to paint small paintings like 6"x6" or 5" x 7" they are much less demanding in terms of time and they provide a great practice and fulfillment as well. Sigh...I wish I had time to paint. I have used acrylics but not oils. Oils on my bucket list!